One of the primary reasons many have given for stalling in making the switch to mirrorless is the lack of solid fast aperture zooms. With the newly announced Sony G Master series and initial debut of a FE 24-70mm f/2.8, FE 70-200mm f/2.8 OSS, and FE 85mm f/1.4 lenses, not only are we getting the highly requested fast zooms, but we are getting some of the best precision optics overall for the Sony Alpha system. Sony is proud to promote that the G Master series are setting “a new standard for a high-resolution future.” Using a newly developed XA (extreme aspherical) lens element, manufactured with refined simulation software and a 0.01-micron surface precision, the G Master lenses are attempting something much more than being wide aperture lenses. According to Sony, the precision optics in the XA element result in enhanced bokeh with naturally smooth transitions from in-focus areas to the soft backgrounds. There’s also the self-imposed baseline of 50 line pairs per millimeter in the G Master series, even while shot wide open. 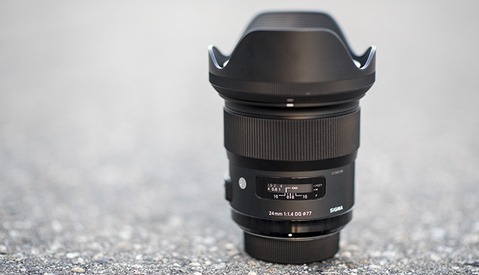 The Sony FE 24-70mm f/2.8 GM is built with three aspherical elements, including one of the new XA lens elements, and two extra-low-dispersion elements to minimize abberations. Featuring a nine-bladed aperture with Nano AR coating, the blades maintain a near circular shape throughout the aperture range and suppresses reflections to maintain contrast and clarity. The new dust and moisture resistant 24-70mm utilizes a direct drive SSM focusing system with an updated algorithm for fast positioning of lens elements. In my short use with the lens, the autofocus was proven to be silent and very fast. On the outside there’s switches for AF/MF control, focus hold, zoom lock, and a hood release button. 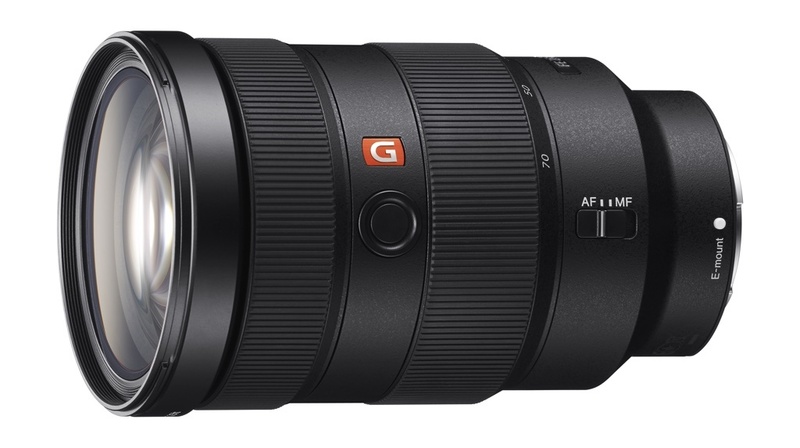 The FE 24-70mm f/2.8 GM is priced at $2,200 and will be available in March 2016. You can preorder yours now from B&H. This one is sure to excite portrait photographers. The FE 85mm f/1.4 GM bring a strong balance between flattering fast-aperture boken and compactiveness that feels at home with Sony Alpha mirrorless cameras. The lens features the new XA elements as well as three ED glass elements. The 85mm f/1.4 has 11 blades, the most put into an Alpha-series lens. To reduce ghosting and flare in a variety of dynamic lighting situations, a Nano AR coating is applied. A ring drive SSM autofocus motor system is used to drive the larger and heavier glass. There’s also two position sensors to support focus control of the lens elements. 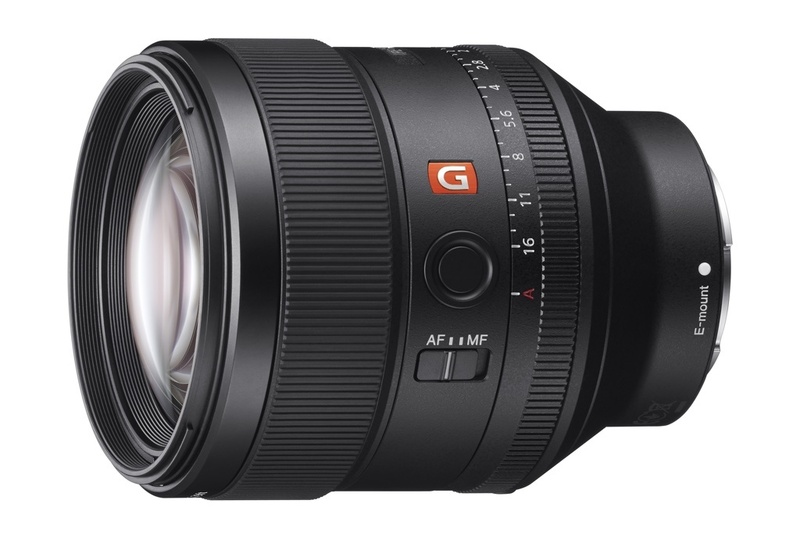 As with the other G Master lenses, it is dust and moisture resistant. 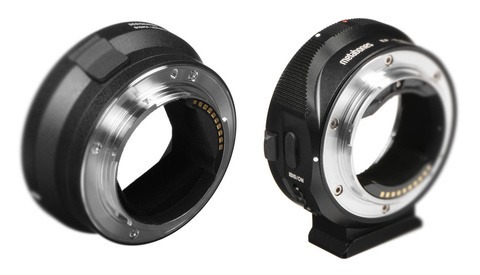 The 85mm GM has an on/off switch to control click stops, an AF/MF switch, and a focus hold button. The FE 85mm f/1.4 GM is priced at $1,800 and will be available in March 2016. You can preorder yours now from B&H. Another G Master lens that hurdles past a previous Sony FE offering, the 70-200mm f/2.8 GM will soon become a go-to lens for many photographers who shoot with Sony Alpha cameras. The lens features three advanced lens elements including XA, Super ED and ED glass components, as well as a Nano AR coating. The front lens also benefits from a flourine coating. The floating focus system design allows for the lens to be focused as close as 0.96 meters. The SSM plus dual linear motors work together to drive the large lens elements in the telephoto zoom lens. Like the f/4 version, this lens has built in Optical SteadyShot. While it is noticably heavier than the now available f/4 counterpart, it is nearly identical in size and shape. 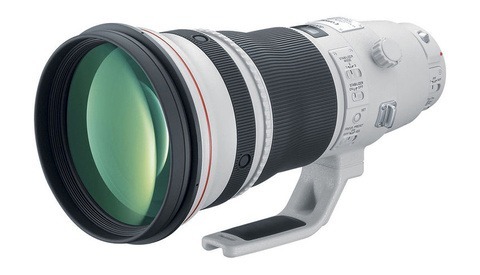 The FE 70-200mm f/2.8 GM OSS will be available in May 2016 with pricing yet to be determined. 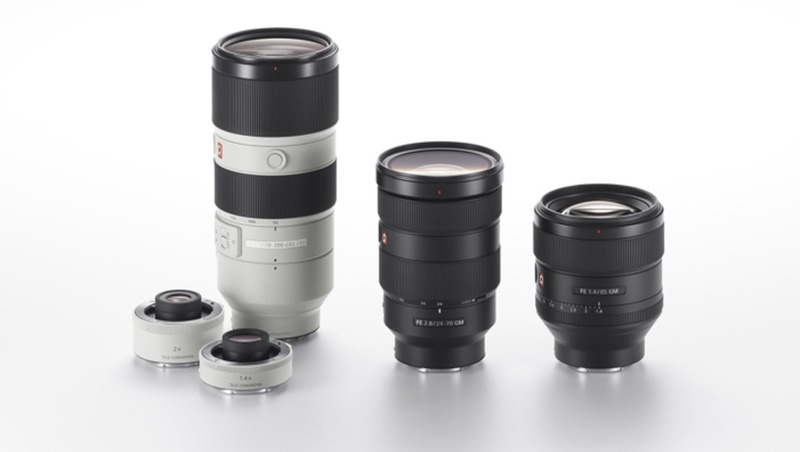 Alongside the 70-200mm GM, Sony is releasing two teleconverters made specifically for use with this lens. The 1.4x and 2x teleconveters will be launched at the same time as the 70-200mm GM lens and pricing is to be determined. I can't find info anywhere on whether the zoom lenses are parfocal. That doesn't matter for stills, but I would love to be able to zoom while recording video without losing focus. Can't find my crystal ball at the moment, but I'd say it's a sure bet that they are not. I use the complete system and the only parfocal zoom is the 28-135 F4, which is a "true" cine glass. That said, these new lenses are a super welcome addition, especially the standard zoom! I've only had the chance to work with Zeiss prime lenses on the Sony a7 II. They were fairly well balanced when mounted on the small and light body of the a7. I'd be interested to see how these bigger, heavier professional-level zooms manage. One of the biggest selling points of these mirrorless full-frame cameras is the size and weight savings vs. pro dSLRs. Savings which are greatly minimized when using a 24-70 or a 70-200 - the size (and weight) of which is identical to those used by Nikon and Canon. Is it really a selling point for 35mm mirrorless cameras? Olympus and Panasonic are doing a perfect job of combining the advantages of a mirrorless cameras with smaller bodies and lenses due to the smaller sensor size for people who don't want/need the 35mm sensor size, but the 35mm Sony system was always huge compared to them. I think the people who like Sony have also been the ones who adapted big lenses from the beginning because the f4 Sony lenses haven't been a good option. Olympus has a 7-14mm f/2.8, 12-40mm f/2.8, and 40-150mm f/2.8 for the micro four thirds market. I assume you were referring to full-frame mirrorless. These Sony lenses look amazing, but the size of them sort of defeats the purpose of using mirrorless bodies. Dependes on the purpose, doesn't it? I shoot mirrorless for an evf, stabilized full frame body, that gives me the stellar 55/1.8 and a highly customizable button layout with unbelievable IQ. Small size is an excellent occasional bonus for primes. But even for mft, the 12-40/2.8 isn't exactly small. It tended to not balance the om-10 I had. My purpose for using mirrorless (A7) is that I can mount any old manual lens on it without having to modify it (as it was when I used Nikon DSLRs), and have a great system to focus using those lenses. I'm fairly certain I heard that those were coming this year, I can't provide a source but I am almost positive I remember hearing it mentioned, I sure hope so... I'd love more native options for my A7RII. yeah and you have to pay 30% more for the same lens quality as canikon. i have a A6000 and i struggle to find good lenses that don´t cost around 1000 euro. most of the ~500 euro sony lenses are just bad (except the 50mm f1.8). i really don´t like to invest that much into sony. i have a full blown canon sortiment of lenses and the sony is just for traveling light. i buy mirrorless for it´s size advantage. these lenses are as big as fullframe lenses from canikon. and they even cost more. knowing the non existing support from sony i would not buy a 2200$ lens from sony. when something breaks after warranty it´s just garbage.